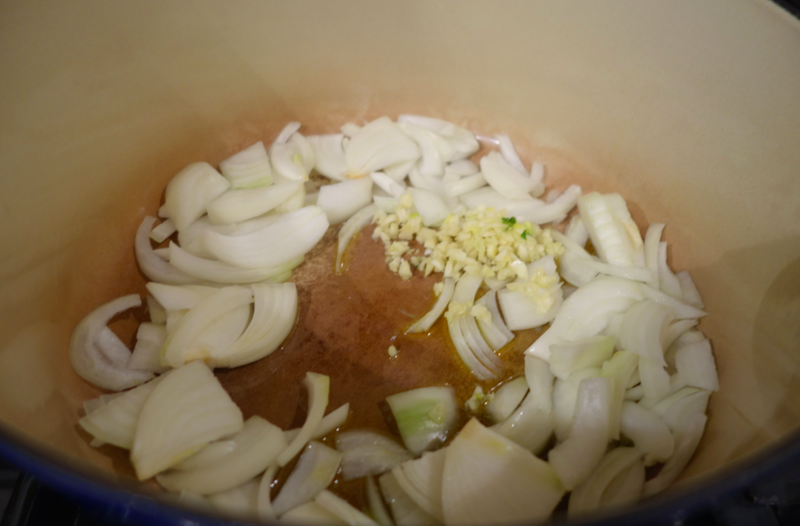 * Sautee the onion and garlic for 2 minutes in olive oil on medium heat. 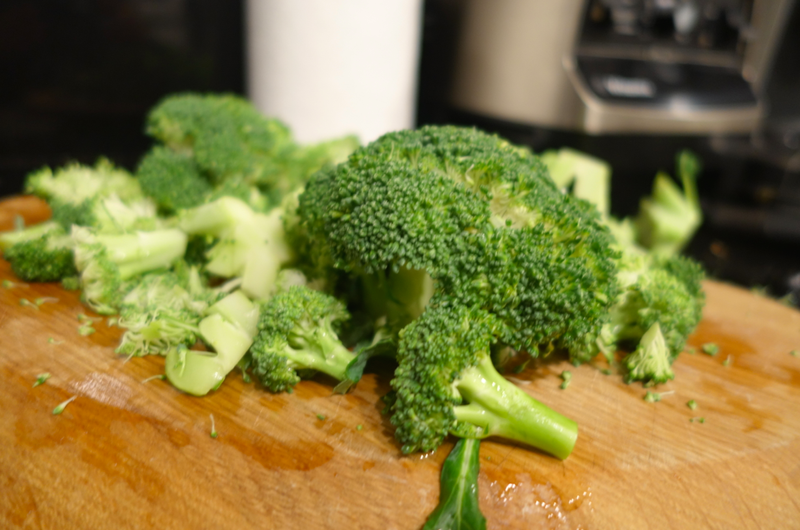 * Add the broccoli and cook for 4 minutes or until bright green. 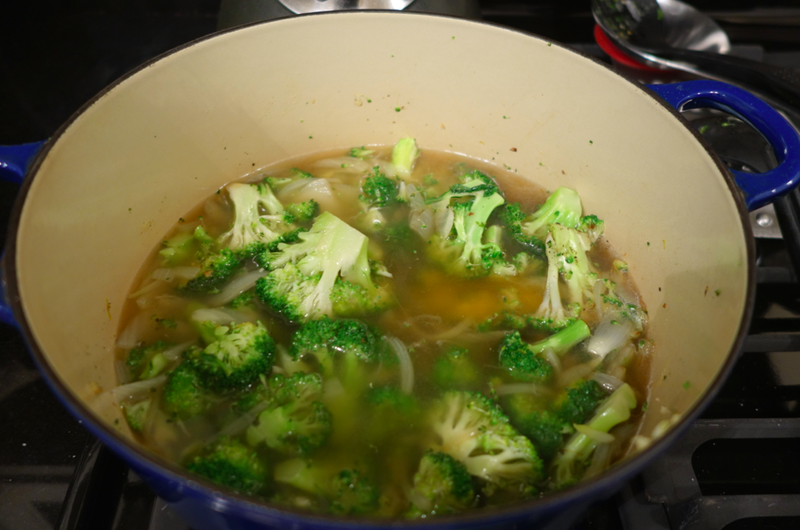 * Add the liquid, salt and pepper, bring to a boil, lower the heat and cover. 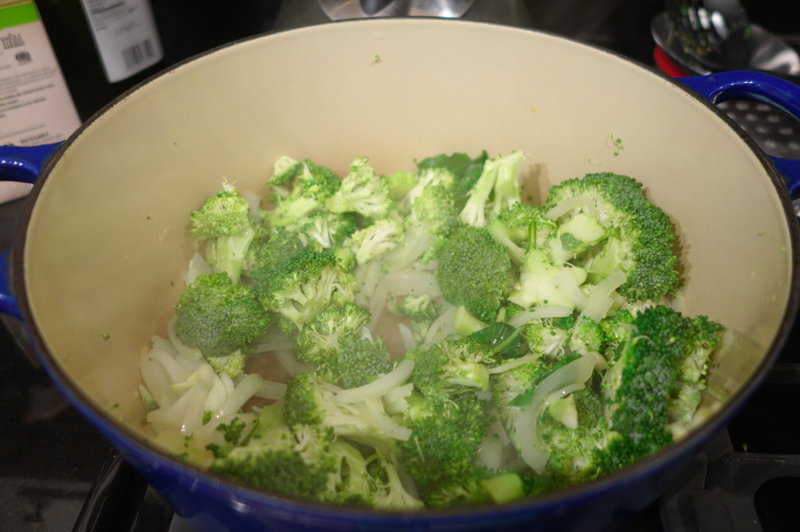 Cook for 8 minutes. 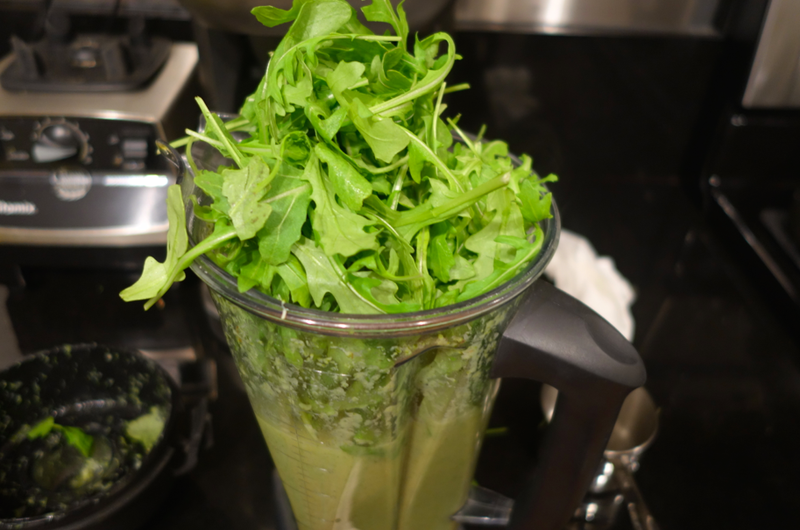 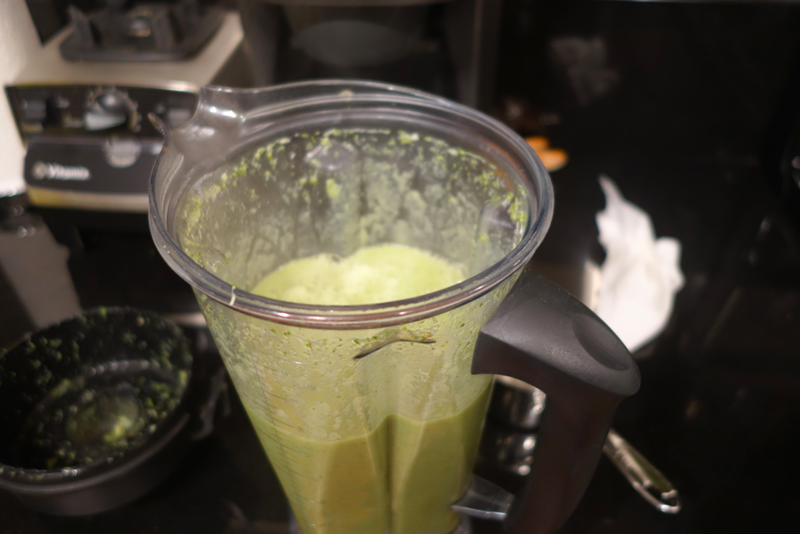 * Pour the soup into a blender and puree with the arugula until quite smooth. 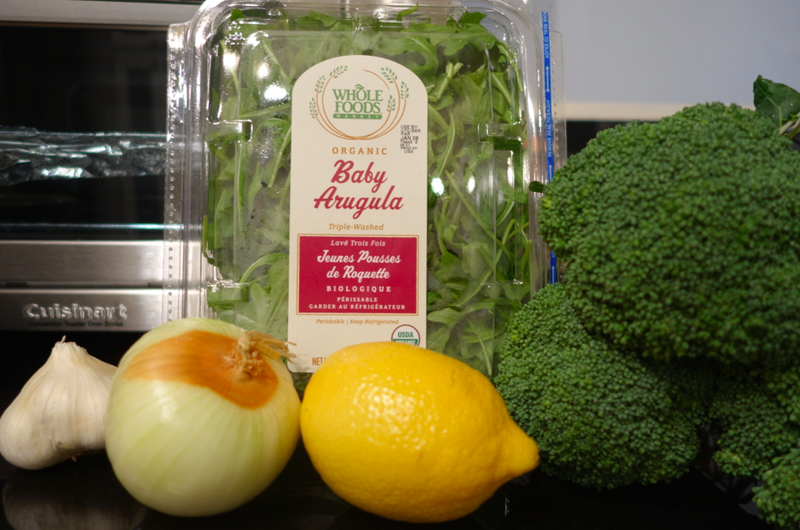 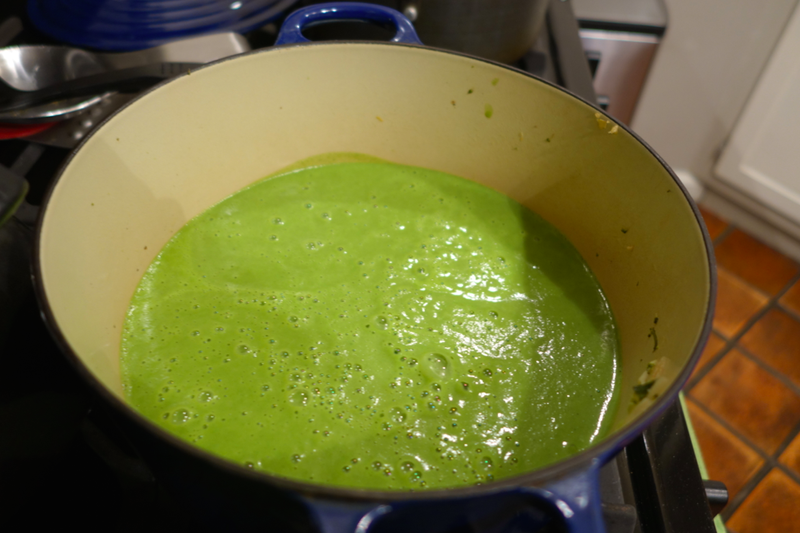 My mom makes delicious broccoli soup…I will have to let her know about the arugula addition! 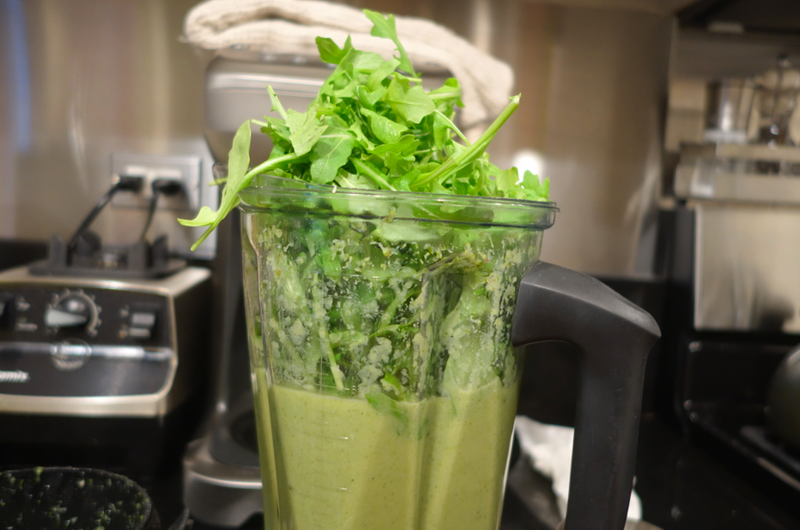 PERFECT for this NYC weather.